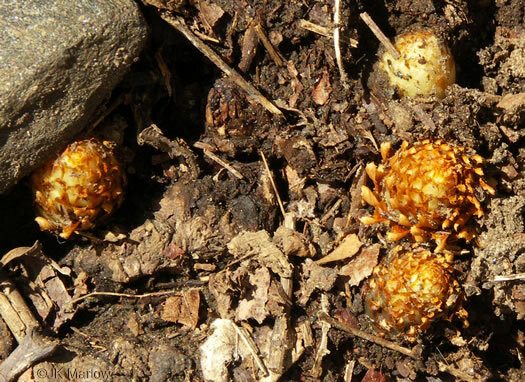 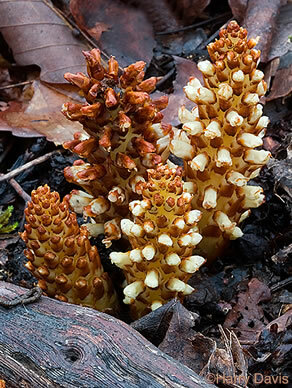 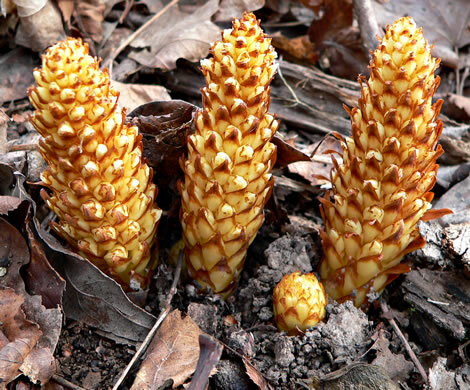 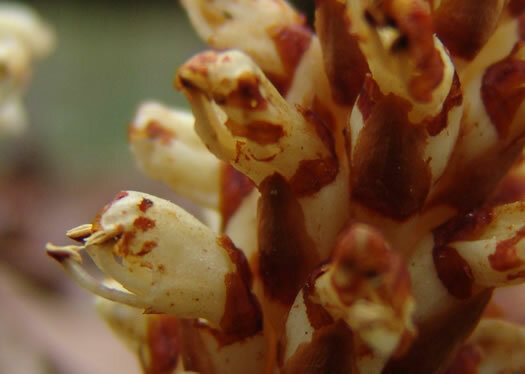 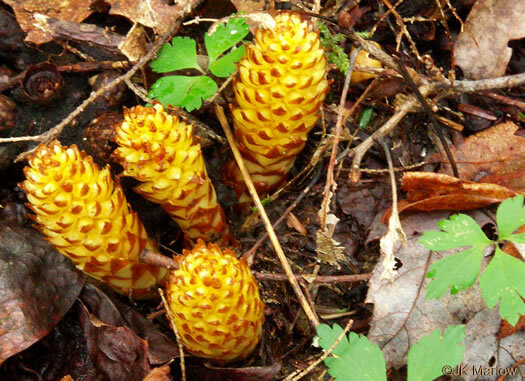 Read about Bear Corn from Lytton Musselman and the Southern Appalachian Botanical Society. 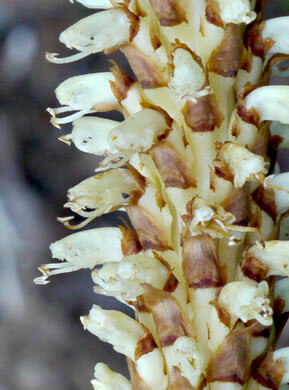 Stamens exserted, usually 4, per Vascular Flora of the Carolinas. 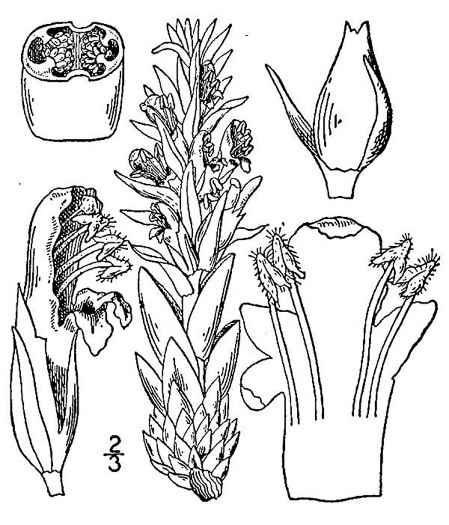 Leaves overlapping, brown, fleshy, scaly, and lacking chlorophyll, per Wildflowers of Tennessee, the Ohio Valley, and the Southern Appalachians. 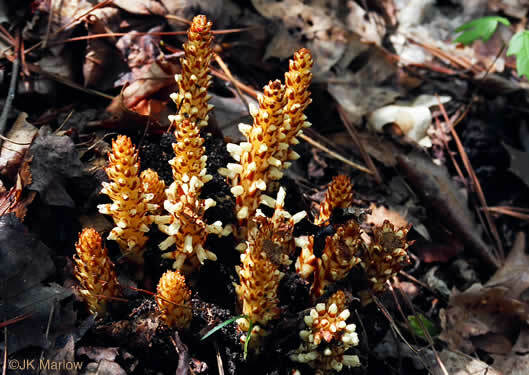 Usually several stems in a tight cluster, per Wildflowers of the Eastern United States. 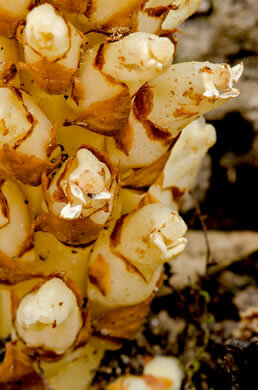 A 1/2" whitish 2-lipped flower projects from the stem above each bract, per Wildflowers of the Southern Mountains. 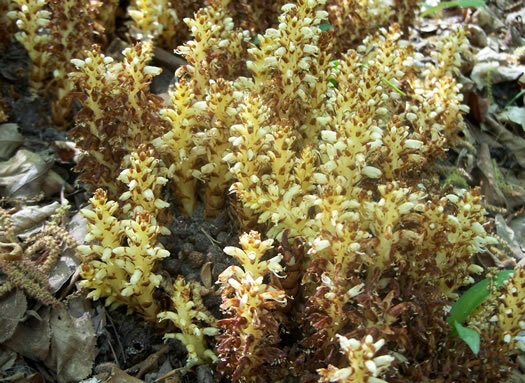 This parasitic herb often found at the foot of oak trees, per Wild Flowers of NC, 1st edition. 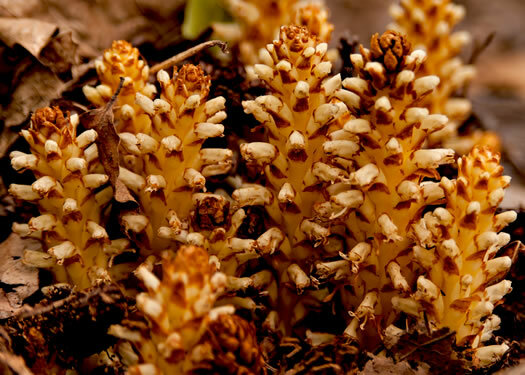 Stem is yellow, turning brownish with age, covered with scaly bracts, per Wildflowers of the Southern Mountains.